The airport is maintained by Rautavaara foundation and operated by Kuopio Aviation Association with large paved runway located at Rautavaara municipality. During the summer months active gliding and paragliding operations by winch launches in wich the greatest heights can be up to 700 meters. During operation, the towing wire passes through the eastern edge of the grass between runway and taxiway. 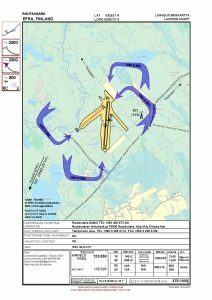 Gliders operating in runway 05/23 towing wire passes through the north end of the runway 18/36. Due the thread of towing wire runway is not to be flown over during glider and paragliding operations. In the close vicinity of the airfield there is opportunity to stay at the accommodation building in a double room or tent. You will also find sites for caravans. There are also sauna and shower facilities, a lakeside sauna and small bars for making your own food. Nearby The airfield you can also find beach and salmon river. Good condition coated main runway 18/36 and taxiways. In some places the sand and gravel. 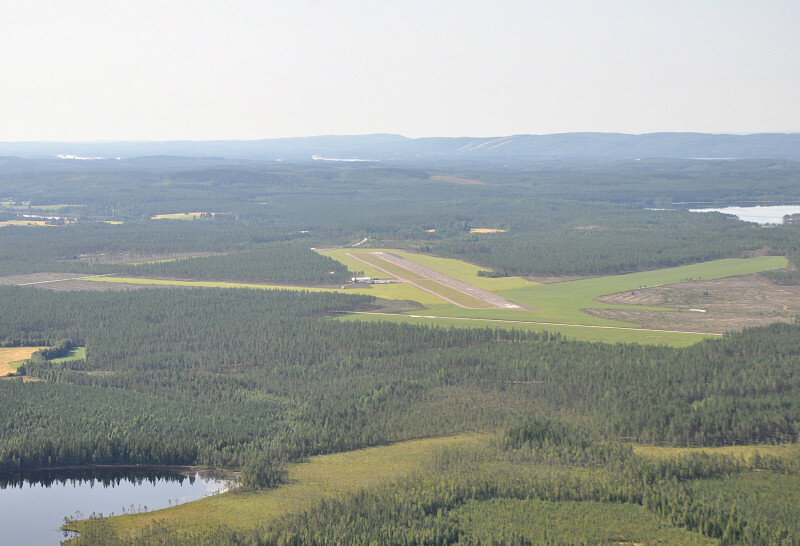 At the north end of the runway there is a large (> 500m) open field before the forest edge. Across the field goes road for about 300 m before the threshold. At the southern end, about 200 meters open field. The runway edge areas are cultivated grassland. Runway 05/23 is not recommended for motorized aircraft because of the uneven surface. Runway 05/23 is mainly used for glider and paraglider winch launching. 05/23 – 500 x 15 m – Sand, not recommended for motorized aircraft because of the uneven surface. 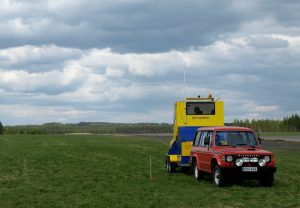 Runway is mainly used for glider and paraglider winch launching. The opportunity to prepare your own meals at the airfield café. The nearest store is 10 km west of the airfield. 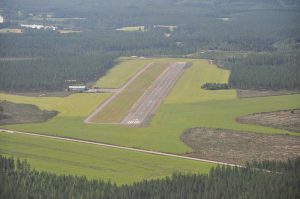 Rautavaara village 17 kilometers north-east of the airfield. 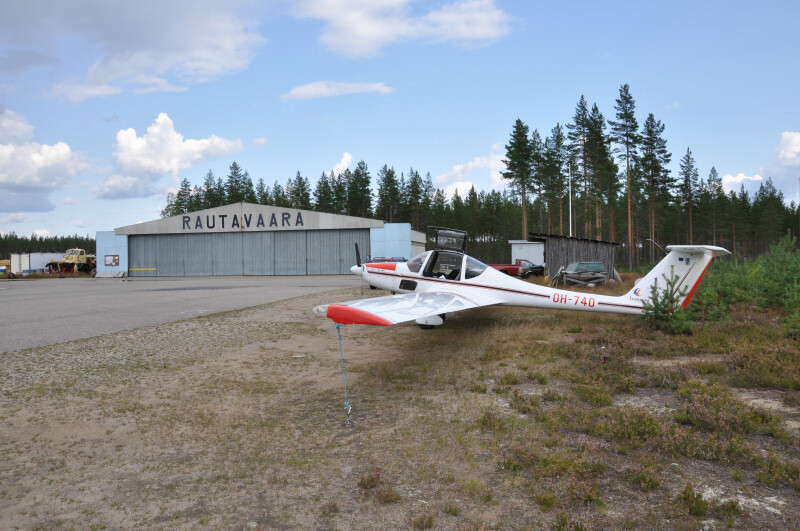 Rautavaara foundation is responsible for the airport activity, Chairman Kari Ylihärsilä +358 400 577 272. 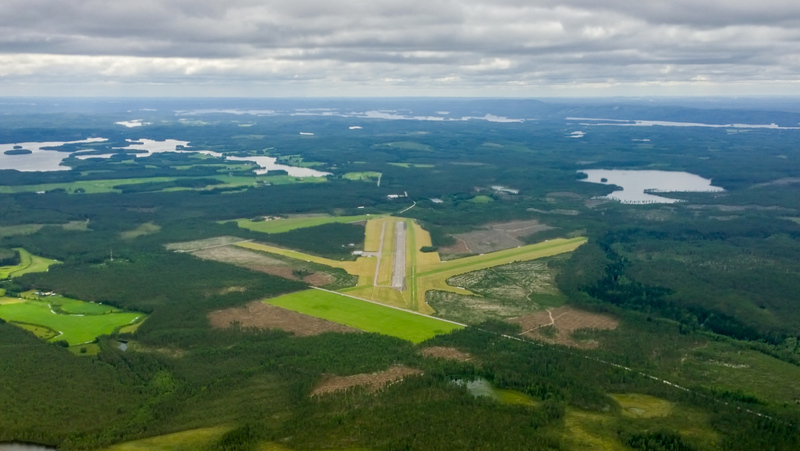 Kuopio Aviation Association is responsible for all Glider activity, Chairman Matti Ryhänen +358 44 723 7450. 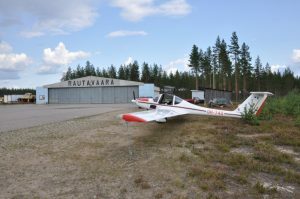 Responsible for Glider training, introduction flights and other glider activities is Reijo Tuononen +358 400 778 630. The Airport Chief is Kimmo Niemelä +358 500 848 184. Rautavaara airport from the north.